S.O. Esposito | Suspense with a twist! Welcome to the official online home of suspense author S.O. Esposito. Feel free to browse, leave a comment or ask a question through the contact page. Also, be sure to subscribe to my newsletter to be notified of giveaways and new releases. 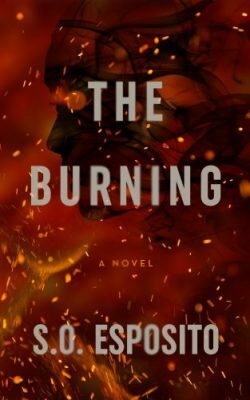 Click the book cover to read Chapter One of The Burning. Join my newsletter to get updates on new releases & special deals!